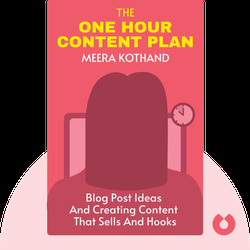 The One Hour Content Plan (2017) is a strategic guide to creating engaging, attention-grabbing and profitable blog content. 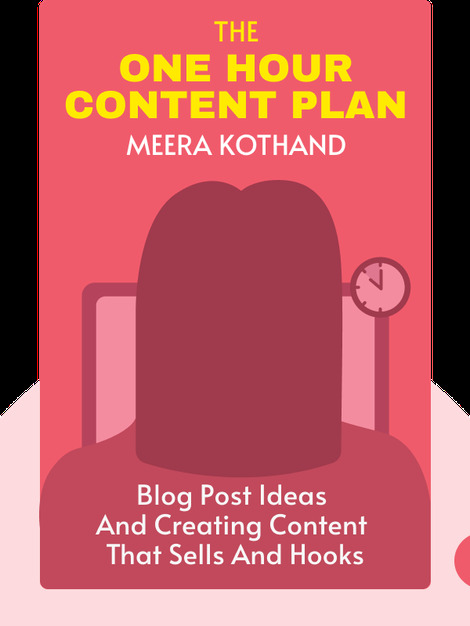 The fruit of years of hands-on experience in online marketing, Meera Kothand’s actionable advice for would-be content creators is focused squarely on the how. Full of useful tips and strategies, these blinks will help you get your brilliant ideas off the ground. Meera Kothand is an online marketing strategist specializing in helping new bloggers and entrepreneurs get their businesses up and running. She’s also a blogger and the owner of meerakothand.com.